SOMETIMES it just clicks. That sit-up-and-listen first connection with intelligently-conceived music and performance, prompting a compulsion to become involved and stay with it. 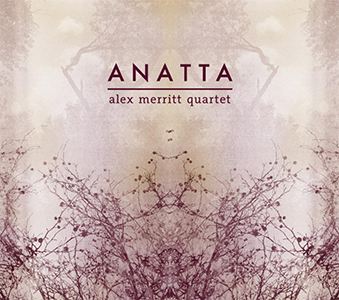 Taking its title from a Buddhist principle which, indeed, references ‘a state of no self, where we are fully immersed in our experience of the present moment’, Anatta is the debut release of young tenor saxophonist Alex Merritt and his fine quartet: pianist John Turville, double bassist Sam Lasserson and distinguished US drummer Jeff Williams. With the majority of the album’s eight compositions coming from Merritt’s pen (plus interpretations of Thelonious Monk and Eubie Blake), the tenorist’s lead exudes both maturity and confidence in an hour-plus outing which brims with exploration and reinvention. Formed some six years ago, and encouraged by Jeff Williams whilst Alex Merritt was still studying at Birmingham Conservatoire, quartet and leader seek a fascinating duality in their approach – the concept of modelling new work based on the standard chord progressions of existing material (such as Merritt’s originals here based on Jule Styne’s Just in Time and John Coltrane’s Satellite), thereby reflecting the aim of ‘observing the elegance of life’s change’. Merritt’s warm, dry, Getzian fluency (which, at higher range, even finds refractions of Paul Desmond) is a joy, whether intertwining with Turville’s mysterious, unpredictable chordal shifts in the title track or bubbling with controlled fervour in one of the aforementioned reinterpretations… cringingly-titled Justin Time-berlake (perhaps there’s a back-story!). In fact, for a saxman who rarely screeches or wails, such restrained eloquence shines prominently. For example, in swingin’ For Peter Schat (that Coltrane reworking), his mellifluous, elongated phrases set up a ‘pied piper’ kind of magnetism, with a constant stream of fresh improv ideas that don’t need any invitation to follow; and his band’s freer, nine-minute excursion through Pannonica beautifully echoes Monk’s famously capricious, angular approach. The integration here is key and, throughout, feels like a sound this quartet has taken time to hone, driven along by Jeff Williams’ recognisable percussive solidity as well as Sam Lasserson’s double bass which, even amongst the sublime placidity of For Henri Dutilleux and Blake’s Memories of You, becomes majestic. Thelonious favourite Ugly Beauty is delightfully luxurious in this arrangement, especially when Merritt goes deep; and lively Conn Artist (other brands are available) cements his prowess as a composer with a promising future. This feels like just the beginning… and what a beginning. Released on the F-IRE label, Anatta is available from Propermusic, Amazon and iTunes. 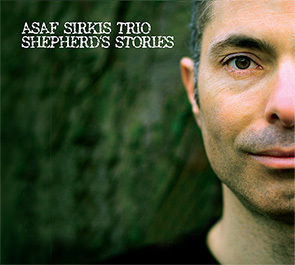 ISRAELI-BORN DRUMMER and percussionist Asaf Sirkis has firmly established himself as a highly individual and treasured mainstay of the buzzing British and international jazz scene. 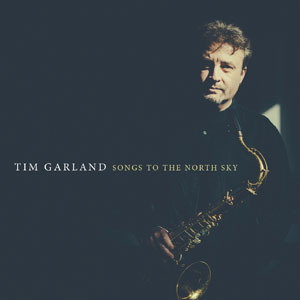 For many years the rhythmic backbone of Gilad Atzmon’s amazing Orient House Ensemble, also to be found within John Law’s and Alex Hutton’s piano trios with bassist Yuri Goloubev, and alongside Gwilym Simcock in Tim Garland’s Lighthouse Trio (to name but a few! ), his precise, sensitive and versatile approach to jazz is both refreshing and unfailingly compelling. 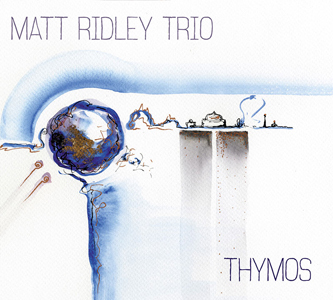 For his own current trio project, his compositions and performances are fascinatingly redolent of the jazz-rock/’Canterbury’ period of the mid to late ’70s and early ’80s (I’m thinking maybe ‘National Health’, ‘Colosseum II’, ‘Bruford’… even ‘Camel’) – but the music is very much of the present, Sirkis’s many influences crystallising into this distinctive sound. Teaming up again with guitarist Tassos Spiliotopoulos and bassist and fellow ‘Orient Householder’ Yaron Stavi (following on from their 2010 album, ‘Letting Go’), they present this new collection, ‘Shepherd’s Stories’. Sirkis explains the album title as the ‘déja vu’ effect we can experience when hearing a melody; familiar yet unable to place, but reminding us of times past and “where we have come from” – perhaps another suggestion of the richness and vision of Sirkis’s creativity. As before, the extended tracks feature Spiliotopoulos who creates a clear, sustained lead guitar tone and technique often reminiscent of the great Allan Holdsworth. Considerable melodic interventions are also made by the accomplished Stavi on bass, leaving the guitar free to then create complex and varied backdrops of electric or acoustic chordal textures and washes. Sirkis, himself, displays all of his customary panache throughout – yes, the leader and writer, but never dominating proceedings. He is one of those musicians who, in concert, completely captivates with his confidence, meticulousness and (very clearly) the enjoyment of all he is sharing with colleagues and audience alike. Here, ‘Meditation’ exemplifies his method, with bassist and guitarist combining to create a mysterious, anticipatory opening through which Sirkis gradually joins to reveal his mastery – subtle at first, then joyously abundant (check out the title track, too, for Asaf at glorious jazz/rock full tilt!). For this release, three guests are welcomed into the fold, each of whom colour the trio’s sound in an interesting and different way. The Fender Rhodes of John Turville introduces an exciting new dynamic, with a deft display in the opening ‘1801’, and then later on in ‘Dream Sister’. In-demand flautist Gareth Lockrane also augments well the trio’s sound, presenting a beautifully restrained yet lithe improvisation in ‘Together’; and the charming, layered, wordless vocals of Sylwia Bialas on the gentle ‘Traveller’ further enhance the trio (for me, pleasingly reminiscent of the ‘new age’ vocals of Mike Oldfield’s early catalogue). These contributions certainly whet the appetite for, I hope, future collaborations. I have been listening for a number of weeks now and have gradually become enchanted by this album’s feel-good ambience – another of those very welcome ‘slow burners’ that can be returned to again and again to reveal hidden delights. Already available at iTunes, ‘Shepherd’s Stories’ is launched at Pizza Express Jazz Club, London, on 17 July, 2013, followed by a number of UK dates.